What Are the Benefits of Swaddling a Newborn? Getting to know your baby comes with a learning curve, but that’s just the balancing act called parenting. Between the lack of sleep and long nights there’s always the magical (and sometimes rare) quiet moments you get to enjoy cuddling your newborn — and that’s what makes it all worth it. No matter where you’re at on the learning curve, taking care of your little one will always be your top priority and ours at BreathableBaby. Learn about the benefits to swaddling your newborn to help them (and you) get longer and safer sleep. The most basic way to tell if a baby is swaddled too tightly is to place two fingers between the baby’s chest and the swaddle. If there is just enough room to fit two fingers of space between their chest and the swaddle then the baby is swaddled correctly — not too tight, not too loose. Learning how to tell if a baby is swaddled too tightly is one of the many things you’ll pick up right out of the gate when it comes to taking care of your newborn. 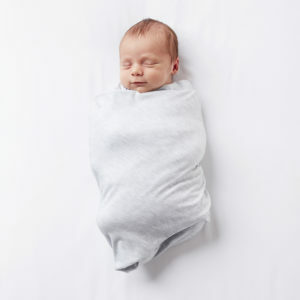 Catch up on a few more swaddling basics and get answers to questions before you become a parent to your new little one. BreathableBaby is more than liners! Introducing our new, innovative, adjustable fitted infant swaddles and swaddle blankets for babies. Like all of our products, our swaddles are created with baby and parent needs in mind. We know the first few weeks home with your new infant are exciting and exhausting, and that’s why we set out to create adorable, safe and functional swaddle sets for babies! Congratulations! You’ve made it through the first few months of little sleep, early morning feedings, and late-night cuddles with your adorable newborn. Now it’s almost time to get baby to sleep through the night — a big transition for every parent, and one that’s different for every family. We collaborated with baby sleep coach Dr. Sarah Mitchell to provide you with the best tips to prepare your loved one for this gentle transition. Dr. Mitchell began working as a sleep coach in 2013 with the goal of educating parents on age-appropriate sleep needs and safety tips. As a mom herself, Dr. Mitchell understands that being a parent is a labor of love and passion. What started her dive into baby sleep coaching was her own son’s trouble falling and staying asleep, as he would wake up every two hours for months. 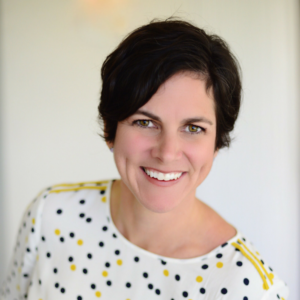 Dr. Mitchell took her healthcare background and grew her academic knowledge on child sleep to help many babies (and parents!) get a full night’s sleep. Many of us are living hectic lives and only thinking about the day-to-day, so it’s hard to remember all the special events coming up this week or the next! 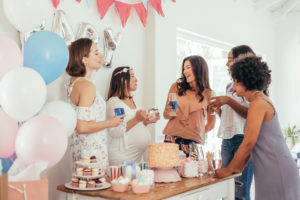 You may have gotten a baby shower card a month or two ago, slapped it on your calendar, and started thinking about the noise coming from your baby monitor. We’ve all been there and know it may be a little too easy to put off getting that gift for the shower. When it does somehow end up on your to-do list you know you want to spend some time finding a practical, yet personal, gift to show your support for expecting friends or family. We’ve been busy over here at BreathableBaby, and we are so excited to finally be able to share some big news with you! At BreathableBaby, everything we do is aimed at helping moms and dads feel confident, in control, and fully prepared to tackle whatever parenthood serves up next. We are thrilled to announce the re-launch of our website which reflects the love and support that we have for every parent and the mission we have for the safety of babies everywhere.